A sk yourself “Motel 6” or “The Ranch at Rock Creek in Philipsburg, Montana”? World renown because of his attention to detail and pursuit of perfection, Mory Hokama is no longer referred as a dental technician, but rather a Master Ceramist. 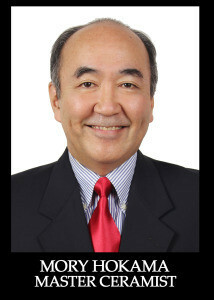 Mory Hokama is the heart and soul of Monet Dental Studio, located in fabulous Las Vegas, Nevada. Mory specializes in sculpting the most artistic crowns and implants by paying the upmost attention to detail. Combining the art wheel & Noritake Shades which provide vitality in every handcrafted product, he is able to make each crown a masterpiece. We believe crowns not only serve functional purposes, they also enhance the patient’s confidence and beauty. From proven traditional techniques to state-of-the-art digital integration, Monet Dental Studio’s innovation, education, and one-on-one business relationships are what sets us a part from the rest. Call us today at 702- 259-9990 to see what Monet Dental Studio can do for your practice. Are interested in our high end Monet Dental Cosmetic Line? Contact us for Pricing!